In December 1991, the Algerian government—the military regime in power since the French were expelled—gave in to public pressure, which had already turned sanguinary, and allowed an election. It was quite clear that the Islamic Salvation Front (FIS), a fundamentalist party, would emerge victorious. To forestall the institution of a theocracy, in January 1992, the military launched a coup and shut down the final rounds of the election. A civil war erupted in which the jihadists sought to overpower the secular, if dictatorial, government. By the late 1990s, the jihadists’ savagery had meant their campaign had run aground; the vital centre in Algeria swallowed its misgivings and sought shelter behind the State. By 2002, the civil war was declared over: the jihadist revolt had been beaten. That is the official story. In short, while the majority of the cadres of the Armed Islamic Group (GIA) consisted of true believers, they were not in control; the Algerian State was. Probably the most prominent defector to testify along these lines is Mohamed Samraoui, a former member of the DRS, who wrote a book in 2003, Chronique des Années de Sang (Chronicles of the Years of Blood). Samraoui had participated in the coup d’état of 1992 that deposed Chadli Bendjedid, believing he was saving Algeria from going to way of clerical Iran; instead he found he was “safeguard[ing] the interests of an oligarchy whose diktat is imposed by lies and destruction.” Samraoui had been transferred to the Military Security section of the Algerian Embassy in Germany in 1992, and called it quits in February 1996, seeking asylum in Germany. Since then, Samraoui has moved to Spain and fled from Spain back to Germany after Algiers tried to use the international “legal” system to get him back to Algeria via official extradition requests, and Madrid seemed prepared to play ball. FIS had tried the democratic method when it came together in 1988-89, Samraoui told Liberation in an interview in 2003, but by 1991 the security forces had deliberately “pushed” the radicalisation of the group so “we could neutralise them”. The Algerian security apparatus infiltrated the group, set up local emirates, and began agitating for a violent confrontation, says Samraoui. The origins of the GIA are somewhat mysterious. Michael Willis points to Mansour Meliani, a disciple of Mustafa Bouyali, a jihadist who had been killed in clashes with the security services in February 1987. Bouyali created the Algerian Islamic Armed Movement (MIA), which collapsed after his death. It is tempting to look to MIA and groups like Takfir wal-Hijra, a radical splinter of the Muslim Brotherhood in Egypt that had a network of loyalists in Algeria, as forerunners to the GIA, but Willis cautions against this. GIA certainly emerged from this milieu, and there was some overlap in ideology and even personnel, yet the complexity of the development makes MIA a spiritual forebear to GIA at most. Meliani came together with a former comrade he had served prison time with in the 1980s, Abdelkader Chebouti, another Bouyalist, and they set about reviving MIA, Willis documents. This broke down quickly due to a dispute over leadership positions and, in January 1992, Meliani split from Chebouti. Meliani drew together a number of factions under his leadership, according to Willis, and in July 1992 proclaimed the GIA—only to be arrested weeks later, on July 28. The GIA idea survived, however, and, Willis reports, in January 1993 was “formally revived … by another radical and independent figure”: Abdelhak Layada (Abu Adlan). Layada remained in charge of GIA between October 1992 and July 21, 1993. There was a relatively rapid changeover in the leadership of GIA thereafter: Benameur Benaissa led for a month; Mourad Sid Ahmed (a.k.a. Jaafar al-Afghani) held the leadership from August 1993 until he was killed on February 27, 1994; and replaced by another “Arab Afghan”, Sharif Gouzmi (a.k.a. Ahmed Abu Abdullah). All of these men found themselves manipulated by the Algerian regime. The GIA was given military vehicles, telecommunications equipment, military-grade bunkers, and perhaps above all DRS agents to fortify itself, Samraoui explains. Still, until late 1994, the GIA was “not completely controlled” by the security services, Samraoui says. 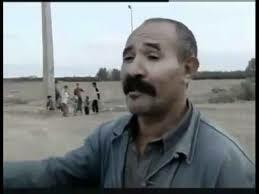 When Gouzmi was killed on September 26, 1994, he was succeeded by Djamel Zitouni (a.k.a. Abu Abd al-Rahman Amin), who had been a known DRS agent and who had ostensibly switched sides as the fighting got underway in 1992. Samraoui does not believe this. To this point, the GIA, extreme by any standards, nonetheless had limits; they understood that their military contest with the regime could not succeed without “hearts and minds” work. After Zitouni’s accession this discretion drained away: the GIA began massacring villages of Sunnis, saying they were unbelievers, and the GIA then started attacking the FIS too. In November 1995, a presidential “election” was held in Algeria. For the regime, this plebiscite was a cornerstone of its political legitimation; Algiers worked hard to ensure a turnout as high as that in 1991 and in the months before battled hard to establish a measure of security. The GIA responded with an escalated campaign of terrorism in September and October 1995, raising the slogan: “One vote, one bullet”. The GIA would slaughter anyone so profane as to take part in an election. In the same month as the election, November 1995, GIA struck down Muhammad Saeed and Abdurrazak al-Rajjam, two senior FIS leaders who had broken away a section of the FIS to join the GIA in May 1994 to try to unite the holy warriors and their insurgency. These killings caused shock-waves among the jihadists, with jihadi strategist Mustafa Setmariam Nasar (Abu Musab as-Suri) distancing himself and cleric Umar Othman (Abu Qatada al-Filistini) doubling-down on his support for GIA. Zitouni’s GIA had—conveniently for le pouvoir—begun devouring even its own members and had put the FIS on notice. In January 1996, GIA issued an overt declaration of war against the FIS, alleviating pressure on the regime as the insurgents fought one-another. Al-Qaeda itself would abandon the GIA. Zouabri issued a ferocious statement, officially dated August 9, 1997, though evidently written some time before—jihadists had been rendering their opinions on it since mid-July—condemning the whole Algerian population as “kuffar, apostates and hypocrites” for not “supporting [the GIA] in their struggle against the government.” The Libyan Islamic Fighting Group (LIFG), an official Qaeda affiliate, had abandoned all “support and assistance” to the GIA in June 1996. They too detected a “noticeable change” in the GIA’s conduct after Zouabri’s ascension; those of “sincerity and faith” were now being targeted, even those “striving to avoid fitna” were not spared the GIA’s wrath. The LIFG concludes that it “appeared” the GIA’s real fight was with “the Muslims of Algeria”. Other al-Qaeda formations and scholars—notably Egyptian Islamic Jihad (EIJ), the aforementioned Setmariam, and eventually even Othman—withdrew support for GIA. Though saying nothing in public, at some point in the autumn of 1997, Osama bin Laden’s men condemned Zouabri. The GIA had refused bin Laden’s request for training camps in Algeria; now it was butchering whole villages and using al-Qaeda’s name. Bin Laden incited another GIA leader, Hassan Hattab, to form a new group. In May 1998, Hattab and several hundred GIA members left the GIA and created the “Salafist Group for Preaching and Combat” (GSPC), with the official announcement of GSPC being issued on September 16, 1998. Bin Laden beseeched this new formation to concentrate their attacks on Algerian security forces. By 2002, the estimated 700 men under arms within GSPC at its founding had grown to 4,000. Meanwhile, the FIS’ armed wing, the Islamic Salvation Army (AIS), declared a unilateral ceasefire with GIA in September 1997, apparently in an attempt to expose the GIA as being responsible for the civilian killings and other aggressions. At a practical level, FIS/AIS was struggling to fight on two fronts and the Algerian regime took full advantage of that to further fracture and neutralise the insurgency, establishing contacts with the FIS and bringing the FIS into a permanent ceasefire in June 1998. By 1998, the Algerian insurgency had been cut down to size. The height of the murder, 1993-97, was over, and though the insurgency never did completely end, it was at a much lower level. Zouabri was killed in February 2002; he was succeeded by Rachid Oukali (a.k.a. Rachid Abou Tourab), who was allegedly gunned-down by close aides in July 2004, though a video surfaced in January 2005 where Oukali claimed reports of his death were mistaken. The final known GIA leader was Nourredine Boudiafi, rounded up in November 2004 (though his arrest was announced in January 2005). Another senior GIA official, Guechniti Redouane, was neutralized around the same time as Boudiafi, and, on December 1, 2004, Boudiafi’s deputy, Younes Chaabane, was killed. Chaabane was allegedly responsible for the worst of the GIA massacres between 1999 and 2003. GSPC removed all ambiguity about its program in October 2003 with a statement from its then-leader, Nabil Sahraoui: “We strongly and fully support Osama bin Laden’s jihad against the heretic America”. In September 2006, al-Qaeda’s then-deputy, now its leader, Ayman al-Zawahiri, released a video accepting GSPC into al-Qaeda’s tent. GSPC was thereafter rechristened “al-Qaeda in the Islamic Maghreb” (AQIM). Samraoui does not acquit the Islamists; there were completely autonomous brigades of genuine zealots who committed atrocities. But the famous massacres, especially during the year of total slaughter from mid-1996 to mid-1997: these are almost without exception the work of the security agencies. One of these infamous atrocities came against the Trappist monks, nine of whom were kidnapped in Tibhirine on March 26-27, 1996. On May 23, it was announced in the press that GIA had killed seven of the monks forty-eight hours earlier. A statement, signed by Zitouni and dated May 21, said the GIA had been “disposed to negotiate an exchange”, specifically for Layada, but, having “at first … showed a readiness to negotiate”, the French had “said they would not negotiate with the GIA, cutting off the dialogue. Therefore, we have cut the throats of the seven monks, as we said we would do. It happened this morning.” This was highly controversial and led to the closure of GIA’s London paper, Al-Ansar, when jihadi patrons withdrew their support in protest at GIA’s behaviour. The Algerian regime announced that it had found the severed heads of the monks on May 31 after they had been murdered by GIA. There is evidence to suggest that the reality is otherwise; that the Algerian military, possibly accidentally, had killed the monks and then beheaded the corpses to blame the GIA. [UPDATE] Investigative journalist Jean-Baptiste Rivoire, who has spent years studying Algeria’s war and wrote a book on this atrocity, Le Crime de Tibhirine, believes DRS orchestrated the kidnapping and murder of the monks to remove an irritant to the regime. The initial aim had been to deport the monks, Rivoire says, but this changed after French intelligence got wind of the fact the monks were in the hands of forces under the control of the Algerian secret police. “In order to hush these rumours, the Algerian secret service would have been forced to eliminate the monks,” Rivoire said. In July 2008, an anonymous Western official told an Italian paper that the DRS-infiltrated GIA had taken the monks but the regime’s military had killed the monks with gunfire from a helicopter. The testimony of Francois Buchwalter, a retired French General who was Paris’ military attaché in Algiers at the time, buttressed this case. Buchwalter told a judge on July 8, 2009, that the monks had been accidentally killed by an Algerian military helicopter and then decapitated to shift the blame, and France had colluded in the cover-up. Another very suggestive episode was the high-profile clash between Major-General Khaled Nezzar—a key conspirator with Major-General Larbi Belkheir in the 1992 coup (and both believably accused of orchestrating the mayhem afterwards)—who in 2002 sued Habib Souaidia, an Algerian officer who fled to France in April 2000, and wrote a book in 2001, La Sale Guerre (The Dirty War). Nezzar claimed Souaidia had defamed him after Souaidia said on television in May 2001 that Nezzar was responsible for the torture and murder of thousands of people, using the GIA as a smokescreen for their massacres. The case was eventually abandoned by Nezzar after other Algerians came forward with counter-suits. The most serious charge is that the DRS was really behind the wave of bombings in the summer of 1995 in Paris as part of an effort to draw the French government in to the war on the Algerian regime’s side, at least diplomatically. It worked. The French took note of Islamic terrorism long before other Western powers did, and committed to its combat—indulging the Algerian regime as (what they thought of as) a by-product. In fact, that had been the point of the operation. France had been, tentatively, involved in planning a peace conference for Algeria in early 1995 that would have tried to put pressure on Algiers to come to an accommodation with the insurgents. After the bombings, and Zitouni’s public statement that the French president should “convert to Islam to be saved” Paris, at popular and official levels, lost all interest in pressuring Algiers. Omar Nasiri, a Moroccan who infiltrated al-Qaeda, went to Taliban Afghanistan, was within the Algerian jihadist networks in France, and then the jihadist networks in London—all while passing information to the French and even the British. Nasiri later wrote a book, Inside the Jihad, where he explains meeting Ali Touchent, the mastermind of the 1995 Metro bombing. The French had conducted a sweep in March 1995, arresting a number of plotters based partly on intelligence clues that attacks were in the works. Touchent avoided arrest and continued to do so, despite being hunted with the help of foreign governments in Belgium and the Netherlands, where he fled at various times. By Nasiri’s account, Touchent was in London in November 1996. The French tracked him back to Algeria. Intelligence emerged indicating that he was the son of a police commissioner. When the French extended a formal demand for extradition in February 1998, they were told that Touchent had been killed in a gun battle in May 1997, and it was a careless oversight for Algiers not to have relayed this to Paris sooner. A French intelligence officer quoted by Nasiri says: “We don’t know if [Touchent is] dead or alive, an agent [of the Algerian regime] or not.” The French evidently were not convinced: when the GIA people they did capture were put on trial, Touchent was convicted in absentia, and more than one of the GIA convicts testified that Touchent was a regime agent who had manipulated them. In his book, Souaidia echoed Samraoui exactly, writing, “I have seen soldiers disguising themselves as terrorists and massacring civilians”. These tactics—penetration, provocation, false-flags, terrorism, and disinformation—are all in a day’s work for the KGB, and there is no regime more faithfully modelled on the old Soviet Union than the Algerian one. The security forces often worked through genuine fanatics, with their own agents at the head of these brigades, firmly holding the command and control nodes. The purpose was bolster the Algerian regime politically, at home and abroad, by staining its antagonists with savagery. It meant that whatever misgivings Western governments had, they would conclude that the available alternative to le pouvoir was worse. This is the fall-back posture of the Arab dictatorships: when propaganda and claims to “progress” fail, they hold on to the line, après moi, le déluge. There was some dissent in the Algerian military about this course, and it was ruthlessly dealt with. Members of the military who doubted the wisdom of this course—or those who, for example, opposed the use of napalm in the hard-to-reach mountains—were mysteriously killed in “accidents”. This continues to the present day. Many African governments, especially North African ones, believe AQIM is part of Algeria’s push for regional hegemony. Colonel Lamana Ould Bou of Mali’s State security service, who was responsible for intelligence in northern Mali, said in June 2009 to the press: “At the heart of AQIM is the DRS.” On June 10, 2009, he was assassinated in Timbuktu by unknown assailants. Many in the Maghreb refer to “AQIM/DRS”. Grant it to the Algerian regime: they orchestrated this brilliantly. When the wave of rebellions broke on the Arab world in 2010, they hardly touched Algeria. The population was frightened of the Islamists and frightened of a return to violence. The Islamists were broken, discredited politically and splintered into too many factions to be any kind of force. The security services had done their work: whatever the level of discontent with their colourless rule, the population is now convinced that the only alternative is takfirism—and for the urban, the secular (a large number in Algeria), and the women and national minorities like the Berbers this is enough to hold together a strategic majority that views the status quo as the best option. This entry was posted in Algeria and tagged Abdelrazak al-Rajam, Abdelrazak Redjam, Abdurrazak Rajjam, Abdurrazak Redjam, Abu Abdul Rahman Amin, Abu Musab al-Suri, Abu Musab as-Suri, Abu Qatada al-Filistini, al-Qaeda, al-Qaeda in the Islamic Maghreb, Algeria, Ali Touchent, Antar al-Zawabiri, Antar Zouabri, Armed Islamic Group, Charif Qouasmi, Djamel Zitouni, DRS, GIA, Islamic militancy, Islamic Salvation Front, jihadism, Lamana Ould Bou, Libyan Islamic Fighting Group, Mansour Meliani, Mohamed Said, Mohamed Samraoui, Muhammad Saeed, Muhammad Said, Muslim Brotherhood, Mustafa Bouyali, Omar Nasiri, provocation, provokatsiya, Salafist Group for Preaching and Combat, Sharif Gouzmi, Sherif Ghousmi, takfir, Takfir wal-Hijra, takfiris on March 21, 2014 by KyleWOrton.